Seven great mysteries for the month of September! 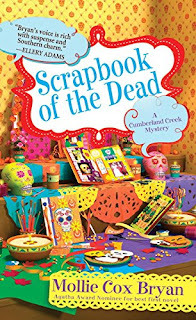 Halloween means spooky scrapbooks for the Cumberland Creek Scrapbook Crop, but what's been happening around town is truly frightening. First a dead woman is found in the freezer at Pamela's Pie Palace, and the next day a second woman is found murdered by the river. Reporter Annie Chamovitz learns the victims were sisters and is certain their deaths are linked. Most bizarre of all, both women were found clutching scrapbook pages. 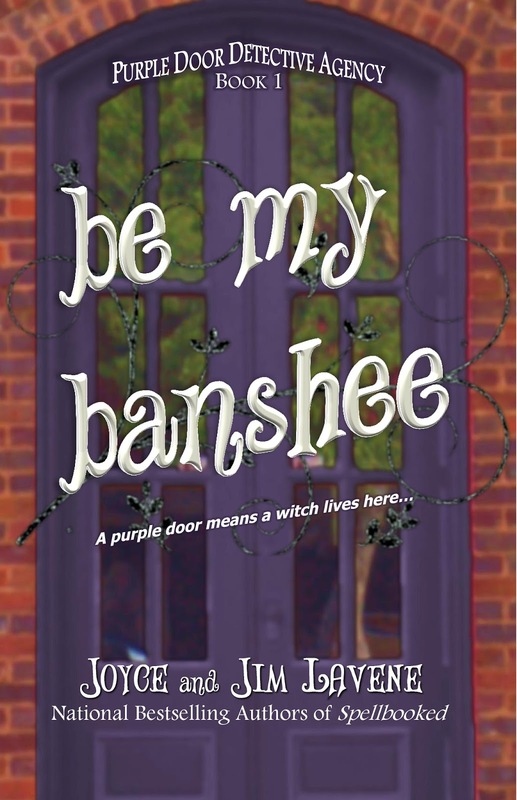 By the National Bestselling authors of the Missing Pieces and the Retired Witches Mysteries. 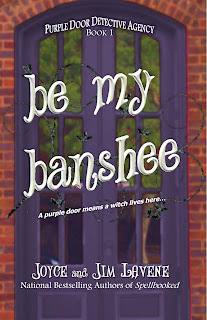 Aine is only interested in one thing when she walks into the building with the purple door–locating the last man alive in the branch of the O’Neill family she haunts as a beane sidhe. In the latest from the bestselling author of Plagued by Quilt, Kath Rutledge yarn bombs Blue Plum, Tennessee—and gets tangled up in the mystery of a bumped-off bagpiper. It’s time for Handmade Blue Plum, an annual arts and crafts fair, and Kath and her knitting group TGIF (Thank Goodness It’s Fiber) plan to kick off the festivities with a yarn bombing. But they’re not the only ones needling Blue Plum. Bagpiper and former resident Hugh McPhee had just returned after a long absence, yet his reception is anything but cozy. The morning after his arrival, he’s found dead in full piper’s regalia. 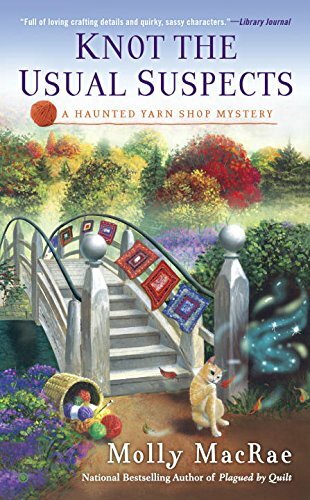 Although shaken, Kath and her knitting group go forward with their yarn installation—only to hit a deadly snag. Now, with the help of Geneva, the ghost who haunts her shop, Kath and TGIF need to unravel the mystery before someone else gets kilt! 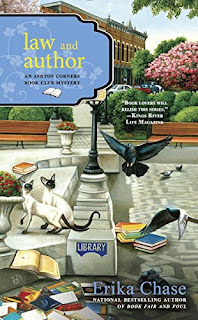 An'gel and Dickce Ducote tend to stay put in Athena, Mississippi, but a wedding is a good reason to say a temporary farewell to Charlie Harris s cat Diesel and go visit relatives. But while their stay in Louisiana is scorching hot, the atmosphere at the wedding is downright cold, with bride-to-be Sondra Delevan putting her trust fund above little things like love and loyalty. When a violent storm supposedly sweeps Sondra off a balcony to her death, the sisters discover that many of the guests attending the wedding had major reasons to object to Sondra's marriage. 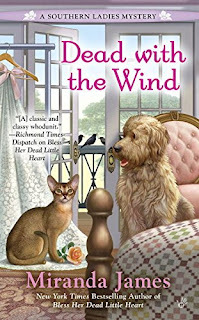 Now, it’s up to An'gel and Dickce to use their down-home instincts to expose dubious alibis, silver-plated secrets, and one relentless murderer who lives for "till death do us part." 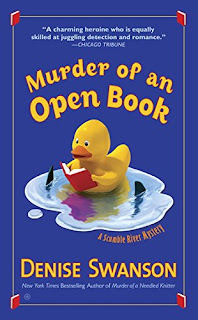 Bob Miller, member of the Ashton Corners Mystery Readers and Cheese Straws Society is stunned by the arrival of his twenty-one-year-old granddaughter, Darla, whom he has never seen. But some of the ladies of the book club find their Southern hospitality strained as they question the motives behind this sudden reunion. After a dead man is found in Molly Mathews's backyard, their concerns grow more serious. Since Darla is implicated but evasive, it's up to the book club to uncover the real story...before another victim is written into the plot. A nasty faculty feud leaves one Scumble River teacher belly-up. Her honeymoon may have been less than relaxing, but Skye Boyd née Denison is still high on marital bliss with her new husband, Wally. The fact that their family is about to get bigger is even more exciting, even if Skye is dealing with morning sickness—and trying to hide the news from her ever-meddling mother, May. But Skye quickly comes crashing down from cloud nine when the body of one of her coworkers, science teacher and volleyball coach Blair Hucksford, is found in the school swimming pool. The troublesome trainer was on the bad side of almost everyone on staff and many of the girls on her team, leaving Skye to sort through a huge roster of suspects. Now she must figure out which wronged party was mad enough to kill, and quickly—before someone else in town gets bumped off. The author of By Book or By Crook returns to the Outer Banks and the Lighthouse Library, where Lucy Richardson must shed light on a shocking murder. To make matters worse, Suzanne picks a very public fight at the local hotel with her former classmate Karen Kivas. So, when Karen turns up dead outside the library the next morning, Suzanne is immediately at the top of the suspect list. 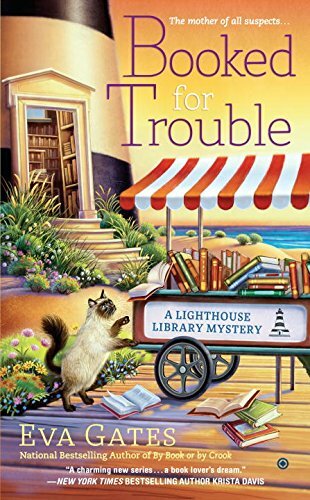 Now Lucy must hunt down a dangerous killer—before the authorities throw the book at her poor mother. These books sound awesome! I have added them to my TBR list. Love all the new books! Congrats and thank you for writing them! I see my TBR list missed a few. Thank you for keeping me up to date! Time to spend some birthday money.